Coke Studio is the new stage for OPM artists, where legends perform with rising stars and musical genres are blurred. There is no better example for this than the collaboration of BP Valenzuela and Sandwich – the fusion of smooth and hypnotic techno sounds with edgy rock music make for an unexpected yet exciting performance. “We’re gearheads!” exclaimed BP Valenzuela, finding common ground despite coming from two seemingly opposite ends of the music spectrum. During the collaboration, this fondness continued, proving that differences in genre never hinder mutual respect between artists. Members of Sandwich even shared their admiration for BP and her music. “She is the future. And it’s so exciting, I am so happy that we get to do this. We really like to see the young artists and from the first time we saw her, we knew,” said Myrene Academia, the band’s bassist. Prior to the collaboration, two of the band’s members, RaymundMarasigan and Diego Castillo had written letters of recommendation for BP’s application to the music program of the College of St. Benilde. “I wrote that if I were still working with a recording label, that I would sign her up in a heartbeat,” added Diego Castillo, lead guitarist and former recording executive. In response to the band’s words, BP admitted that the recommendation letters made her cry. The relationship between the pairing shows a side of the OPM industry where veterans uplift and support upcoming artists and by doing so, elevating the entirety of the local music scene. With this good natured relationship already established, the studio session came along easily. Watch these icons of the past and the present come together to bring the music of the future at Coke Studio. Catch it on August 19, Saturday at 7 p.m. on TV5 or on www.youtube.com/CokeStudioPH. The Coca-Cola Company (NYSE: KO) is the world’s largest beverage company, refreshing consumers with more than 500 sparkling and still brands and nearly 3,900 beverage choices. Led by Coca-Cola, one of the world’s most valuable and recognizable brands, our company’s portfolio features 21 billion-dollar brands, 19 of which are available in reduced-, low- or no-calorie options. These brands include Diet Coke, Coca-Cola Zero, Fanta, Sprite, Dasani, vitaminwater, Powerade, Minute Maid, Simply, Del Valle, Georgia and Gold Peak. Through the world’s largest beverage distribution system, we are the No. 1 provider of both sparkling and still beverages. More than 1.9 billion servings of our beverages are enjoyed by consumers in more than 200 countries each day. With an enduring commitment to building sustainable communities, our company is focused on initiatives that reduce our environmental footprint, create a safe, inclusive work environment for our associates, and enhance the economic development of the communities where we operate. Together with our bottling partners, we rank among the world’s top 10 private employers with more than 700,000 system associates. For more information, visit Coca-Cola Journey at http://www.coca-colacompany.com, follow us on Twitter at twitter.com/CocaColaCo, visit our blog, Coca-Cola Unbottled, at http://www.coca-colablog.com or find us on LinkedIn at http://www.linkedin.com/company/the-coca-cola-company. 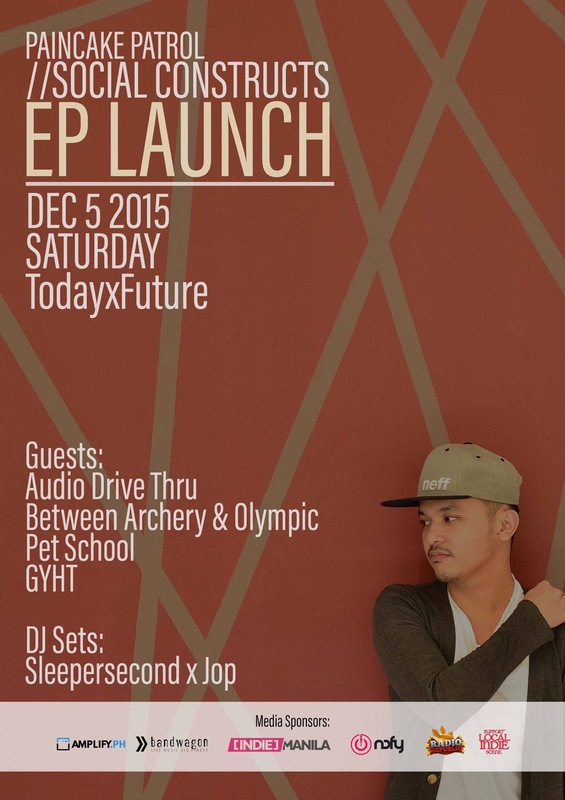 Sharing the belief that a life worth living is defined by a purpose of your own manufacture and not by social consensus, one-man electronic music project Paincake Patrol launches his first-ever EP //Social Constructs on December 5, 2015 at Today x Future in Cubao, Quezon City. Created in 2011 out of passion for music, Paincake Patrol is the recording project of musician Eeman Bulotano. This experimental solo project is focused on creating alternative electronic and ambient music, reflecting the artist’s experiences and views on existence in general. The idea behind //Social Constructs and Paincake Patrol itself is inspired and widely influenced by the very existence of ambient music as pioneered by Brian Leno during the 1980’s. Usually electronic and instrumental in nature, ambient music aims to create a perfect balance between disappearance and presence. Though it has existed for a long time now, ambient music remains relatively unknown to the mainstream crowd as it is seen as “too smart” or “overly deep.” However, Eeman and many other ambient music artists see this type of music as simpler and more relatable compared to any other genre because it provides the chance to be freely interpreted by its listeners. This genre is powered by the experiences and emotions not just by the one who created the music but also by those whom the music is created for. Songs from this genre evolve from the mere self-expression of one artist into many different stories weaved by those present in the audience. They are taken and understood in more ways than one – similar to how individuals give meaning to various things and, ultimately, to life. Music relives one’s memories, and the entire Paincake Patrol project intends to elicit nostalgia while stimulating thought-provoking conversations. With this particular EP, the artist focused on his view of the general meaning of existence and how empty it may seem when viewed only in an objective and logical way. Each composition is appropriately titled based heavily on how the artist views reality. Combining master beats with ethereal notes, //Social Constructs’ first three tracks aim to reflect the existential angst and loneliness one might experience when he or she has failed to see reason behind life. 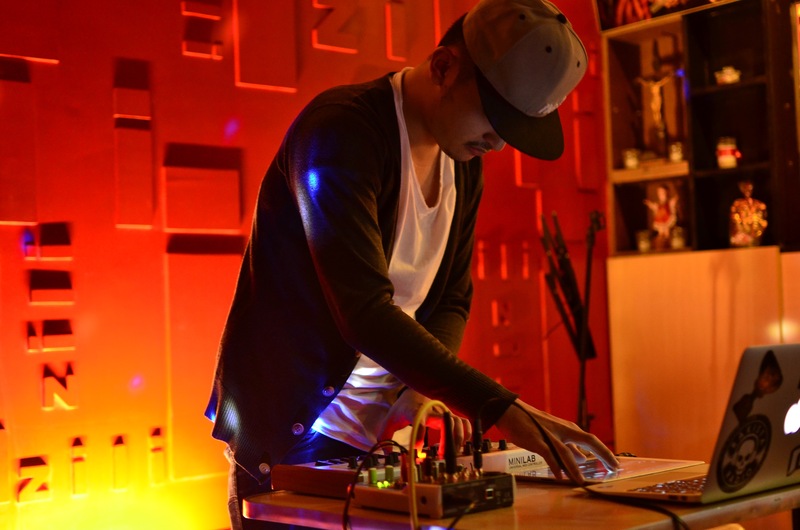 Fascinated with weird ambient and dreamy sounds, Eeman has been recording his own music and releasing it on Sound Cloud starting 2010. He has released three LPs from 2011 to 2014. Since then, he has been featured in a few publications, such as Indienationblog and Exposed Vocals. In the Philippine Indie Rock Awards 2015, he was awarded Keyboardist of the Year through his current band, Audio Drive Thru. He took the next step early this year by doing live gigs all over the metro. Six short months and several introductions to numerous people later, he is now ready to share his music more widely to the world. Check out Paincake Patrol on Facebook, Sound Cloud, Twitter, Instagram and his blog or catch more of Eeman’s keyboards and synths as he plays with Audio Drive Thru. I am a proud kid of the 90s. I grew up listening to the fresh RnB sounds of that decade and proudly made mix tapes showcasing my favorite 90’s tunes. 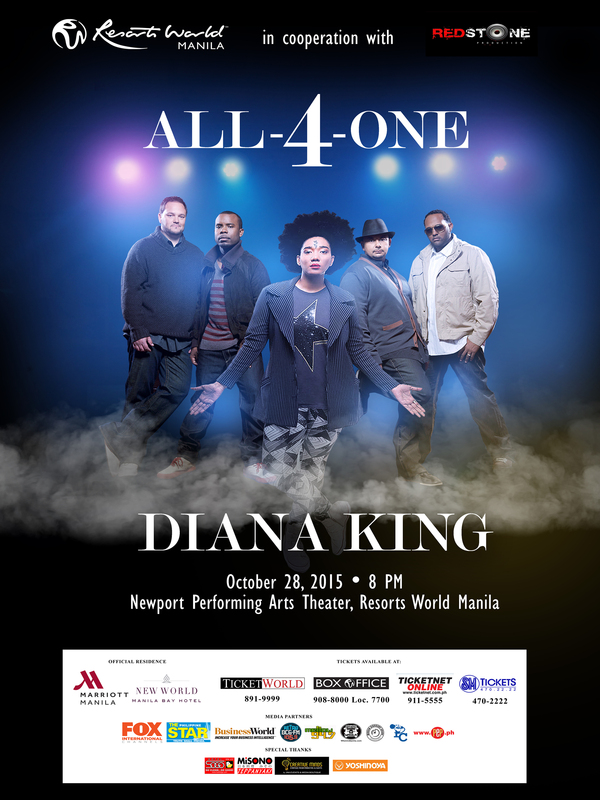 This month, multiple generations of music lovers will have the opportunity to experience the sounds of the 90s as music sensations Diana King and All-4-One stages a night of music and entertainment on October 28 at the Newport Performing Theater at Resorts World Manila. All-4-One is known for hits like “I Swear”, a Grammy Award winner in 1995 for Best Pop Performance for a Duo or Group with vocal. The song enjoyed 11 weeks at number 1 at the Billboard Hot 100 and a seven week run at no. 2 at the UK singles chart. The song was named by ASCAP as one of the greatest love songs of the 25th century. Other notable songs from All-One include “I Can Love You Like That”, “So Much in Love” and “Someday”. Diana King, on the other hand, is another respected artist, known for her sharp vocals and her fun lyrics. Her hits include “Shy Guy”, “I Say a Little Prayer”, among others. In the 90s, when “I Say a Little Prayer” came out along with the movie, “My Best Friend’s Wedding” everyone who had a little crush with their best friend suddenly had a favorite song. For genXers like me, it’s an opportunity to relieve our college days. Tickets for the concert are available at Ticketnet and other ticket outlets. You can buy your tickets through this site. Every once in a while, we kids get the chance to visit the in-laws who live somewhere South. Being carless and busy most of the time, we don’t get to visit the elders as much as we would like. My favorite part of every visit is sitting down with my father-in-law, now a septuagenarian, while 50s and 60s music play in the background. The father-in-law, usually, sits on the lounge, a glass of red in hand while reminiscing about times gone by. He used to be the lead guitarist of a band before, back in the 60s when every musically-inclined young guy wants to be the next John Lennon or Paul McCartney. In their den hung a faded black and white photograph of my father-in-laws and their band mates back in the 60s in black suits, instruments slung over their shoulder. 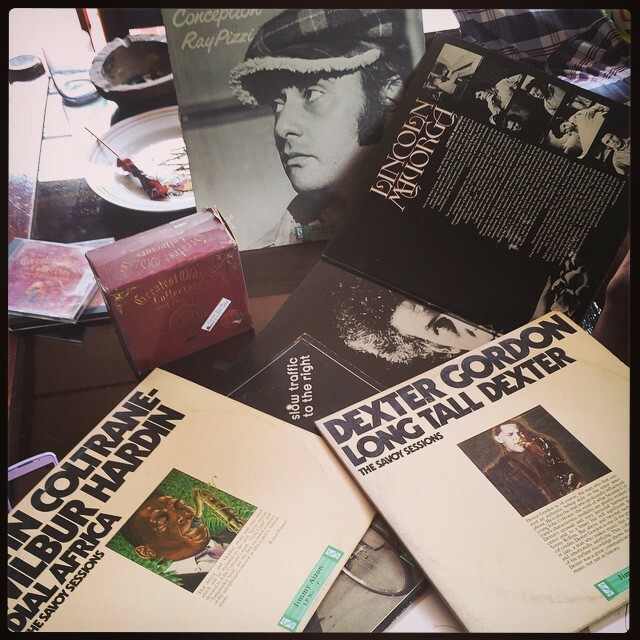 So last Sunday afternoon, we chanced upon his old classic jazz vinyls, some in mint condition, while some rarely played. I had to control my drool from falling. While I would rather enjoy more years with my father-in-law listening about his music recollections and learning new Beatles trivia for him, the fact that he might give us his extensive music collection is just so awesome. Imagine Coltrane, Long Tall Dexter, Beatles recordings, 50s and 60s music all waiting to be discovered? My future child is lucky to have the opportunity to discover what real music sounds like. 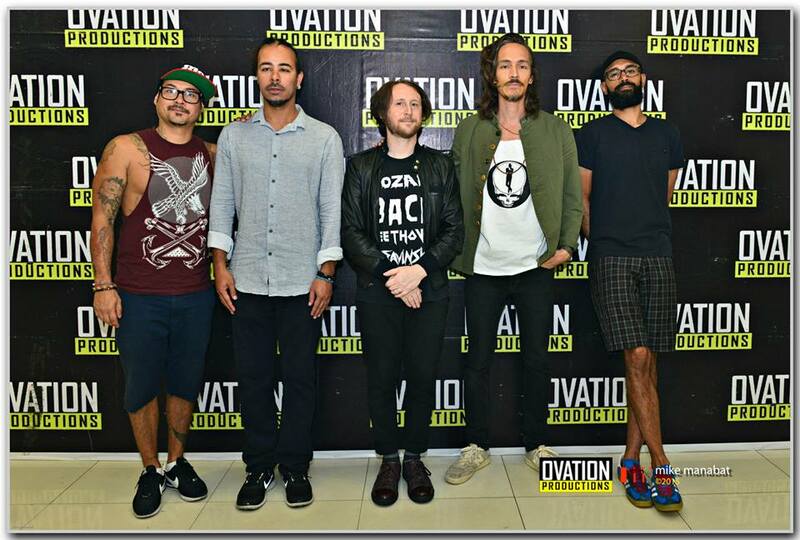 Easily one of the highlights of my year is the recent concert of Incubus, whom I have been an avid fan of since 1999. The release of their critically-acclaimed third album in 1999 “Make Yourself” was also a turning point for me. It was also the moment when I first saw the video for “Drive” and was immediately sucked into the world of Brandon Boyd, Mike Eizenger, Jose Pasillas, Ben Kenney (who replaced Dirk Lance) and DJ Chris Kilmore (who replaced DJ Lyfe). The guys were so young back then. Plus, it was still Dirk who was playing the bass. But arguably, my favorite out of the whole album (which is saying a lot, considering most of the songs are good) are “Stellar” and “I Miss You” — first, because I am such a sappy, weird romantic and second, because the lyrics were just insanely good. These are the kind of love songs that tugs deep into your heart but are never melodramatic or sappy. 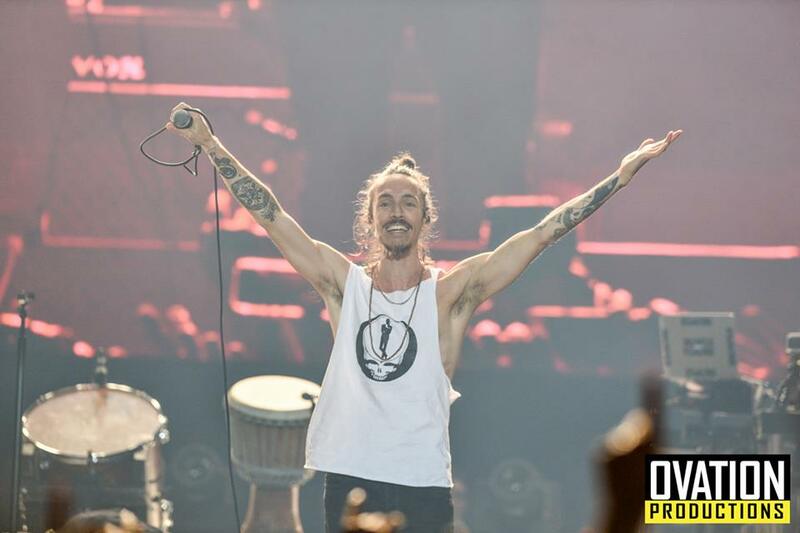 Oh yes–like a lot of girls who first met Incubus with “Drive”, I was also badly smitten with Brandon Boyd, but as I grew older I have started to go beyond the “cute vocalist” to truly loving the band and its unique brand of music as a whole. 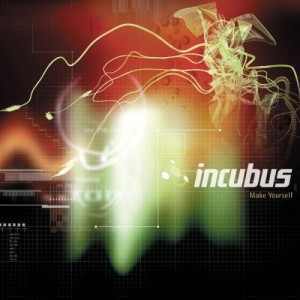 But it was 1999, as a girl formerly and hopelessly stuck in her sea of boybands, Incubus served as a much-needed beacon of light, its music–angry, profound, emo, sarcastic and everything in between–served as the automatic sound track as I get to experience this crazy thing called life. Fifteen years later, upon hearing my favorite band is going back to Manila, I had to immediately cover my bases. The band was scheduled to play in March but I filed for leave in January. 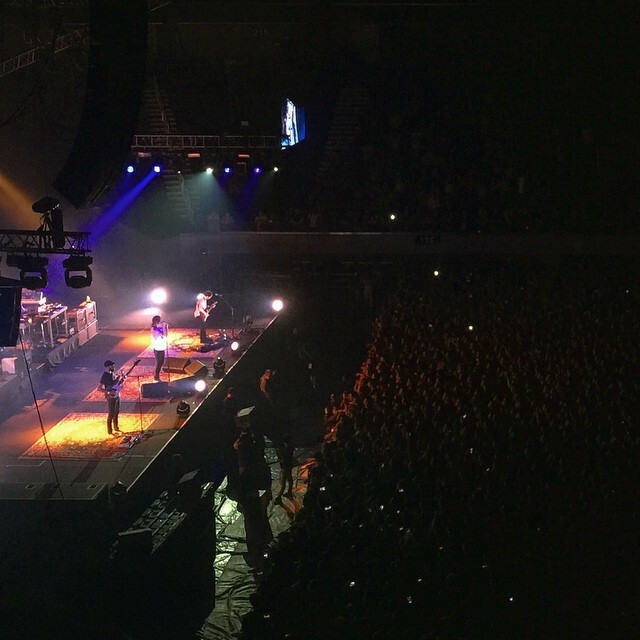 Yes, I always take a leave from work when Incubus in playing in Manila. This has been a very consistent practice since the first time I saw them in Manila back in March 2004. No matter what the task I may have, I will be away from work whenever they have a concert scheduled. But this time, life threw me a curved ball. After filing for leave three months before the concert, I procrastinated till the last minute before I bought my tickets. F, a very good friend and a fellow Incubus fan saved me from misery when her company gave her two Suite tickets for the MOA concert and she kindly and generously offered them to me. So, with the excited husband in tow and with my 2 good friends (F and A), we met at the SMX MOA at 5PM for early dinner and to catch up a bit before we fan girl to Incubus. At 5PM, it was obvious that their Manila fans were all excited for the visit. The restaurant where we had our dinner held groups of fans, wearing concert shirts of varying Incubus albums and art rendering. It was pretty obvious that what was about to happen is a gathering of my generation to sing and to celebrate with probably the band that defined their youth. We came inside the concert hall and immediately found the nifty premiere suite reserved for corporate sponsors. Our view was perfect, a perfect angle to see all the action on-stage. As the guests started trickling in and the opening act, Lindsey Stirling started making magic with her violin, you can feel the excitement building up. I scanned the venue, MOA Arena was about 80% full — not bad for a band who took a hiatus to work on their personal projects and yet remained relevant as soon as they returned to the spotlight. The concert was a good mix of old and new songs, with the Manila crowd showing its appreciation by singing to every song they knew by heart. These are the songs of our youth. When the band introduced new songs like “Absolution Calling” and “Trust Fall” — response was a bit muted but the crowd continued to sway in the mosh pit. Stage set-up was simple and no frills: three carpet, indicating places for Ben, Brandon and Mike plus a raised drum and turn table set at the back for Jose and DJ Kilmore. Brandon Boyd did not speak as much, except for a melodious repeat of “Manila” (rhymes with Vanilla). Obviously, the band has been very familiar and warm with the audience who always welcomed them as if its the first time they are in Manila (for the record, it’s their fourth time). Here’s my view from the Balcony. It was more than enough for me. Like any Incubus concert, the shrieks (from the ladies) started to grow as Brandon started losing his clothes — first, it was the button-down shirt, then after a while, off comes the loose undershirt and yes, it was unanimously and unabashedly met with shrieking from the ladies. Myself included, while the hubby tried to cover his ears to salvage whatever was left of his eardrums. After the concert, my generation — a good mix of GenXers, GenYers and a few Millennials — staggered out of MOA a bit dazed while others, obviously satiated. Some reached to their pockets for a quick smoke, others started rambling off observations while others was smiling, milling around with friends. It was like a big communion of people who all grew with listening to the band. 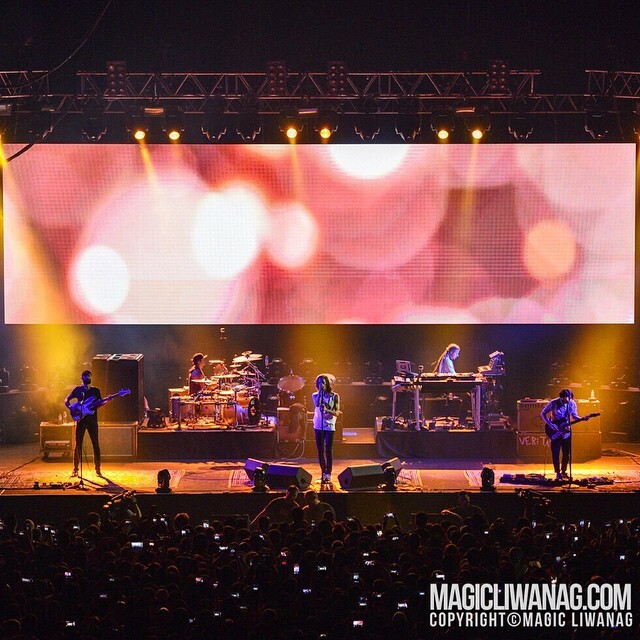 Again, it was already Incubus’ fourth time in Manila. But man, it always felt like the first time–and it couldn’t be more Stellar than that. 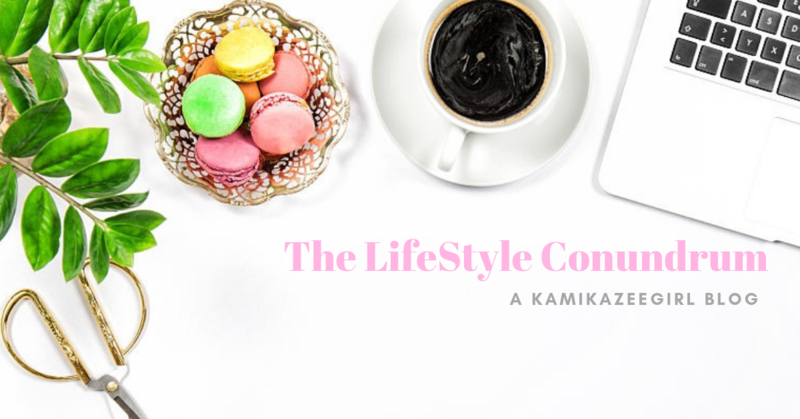 Once in our life, we come across inspiring stories that can make us take stock of our life. It is inspiring and humbling to find someone so full of promise like Zach Sobiech face death with courage and grace. His short life touched a lot of people — wherever they may be. As I watch one video after the other (from songs like “Sandcastles” and “Starhopping” to his documentary “My Last Days”) — I am touched on how positive he was, how he kept on smiling, his face lighting up in spite of the reality he faced. His thoughts on acceptance, gratitude and love was truly amazing. I guess it’s true what they say sometimes: it’s not how much time we spent here on earth, it’s HOW WE SPENT the time given to us. And Zach, in his eighteen years, really spent each and every day to the fullest. From across the seas, my thoughts are with the family of this amazing young man. He was a blessing not only to his family, but to the countless others he touched through music. This particular post at Buzzfeed pushed me back to memories of my thirteen year old self, young and in love with the New Kids on the Block. New Kids on the Block is one of the early boy bands in America,and was made up of the following members: the rebel and the group’s leader, Donnie Walhberg; the adorable cutie with the bright blue eyes Joe McIntyre; the hearthrob and the one with the falsetto voice, Jordan Knight; the quiet, mysterious one Jonathan Knight and the health buff Danny Wood. The girls took pity of me–the outcast with the weird haircut and a public school background–and brought me into their fold. Almost immediately, I am smitten by the adorable kid with blue eyes and curly blond hair. At thirteen, I was convinced that I’ll marry Joe McIntyre. Life in the late 80s and early 90s seemed so carefree and innocent. Let’s not even talk about the clothes and hairstyles then 🙂 And God, Joe McIntyre looks like a freaking angel. If I am not mistaken, “If You Go Away” was released as a single and not as part of an album. The boys were also maturing by this time and embroiled with issues of lipsynching as well as on issues against their (former) manager, Maurice Starr. Even the look of the video was mature and gritty, a departure from their flashy, cutesy videos from before. God, I used to watch this video over and over because I wanted to memorize their dance steps. Sadly, by the time 1997 rolled around, the popularity of New Kids on the Block waned and they were again reduced to playing to small venues. Their last album, the gritty “Face the Music” might have impressed some critics but did not sell as much as their previous records. 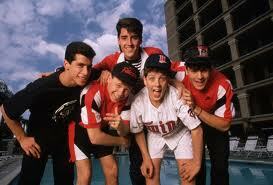 As for me, I grew out of my NKOTB phase by the time junior year rolled in high school. I hid all my NKOTB memorabilias (unathorized biographies, pocketbooks, comics, tapes and a pink chain bracelet) and started experimenting with grunge and rock. I discovered Greenday, Weezer and Incubus. Eventually, the boys became a part of my freshman years when I was still naive and very young. In fact, one of my most vivid memories of freshman (or was it sophomore?) year was when I cried after hearing a stupid hoax report that NKOTB figured on a plane crash. I was so gullible and naive! Imagine feeling like a world-class dork after realizing that you’ve been had. …and almost fell off my chair. The “kids” are back! And God, Joe is still hotter than ever…and those blue eyes! NKOTB is definitely older but nonetheless as much as — if not–even more talented nowadays compared when they were still young.Reception to their reunion is surprisingly well-received, fans are still excited to see them. In fact, their partnership with Backstreet Boys (NKOTBSB) was immensely successful. Both groups are said to be slated to get a star on the Hollywood Walk of Fame this year.